Attack 1 : Vote if you love pikachu! 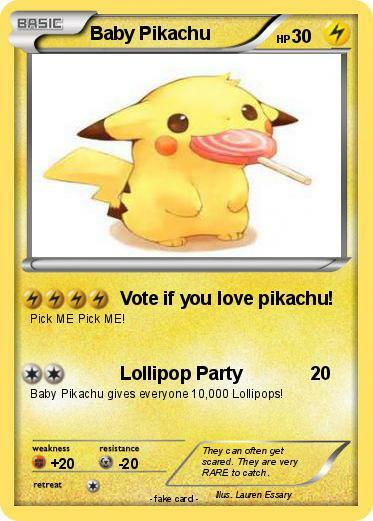 Baby Pikachu gives everyone 10,000 Lollipops! Comments : They can often get scared. They are very RARE to catch.